Spade made a move to use his claws again, but not before Bridge could deflect the blow and then grab the cat by the ear. He twisted the cartilage between his fingers as he leaned closer. “You had a free one coming,” he whispered, “and you took it. From here on out, you pay as you go.” Relinquishing his grip, he pushed his chair back from the desk and stood. “Eventually?” The muscles in Spade’s face were incapable of reproducing the sneer in his voice. “You and I both know that, left to your own devices, you’d still be wallowing in filth six months from now, seeing clients in the hallway and trying to explain away the smell coming from your office. I can practically hear the flies buzzing now.” By way of illustration, he did his best impression of the insect swarm. “Nothing.” There was a strange finality about the word. “Yes.” For once, Bridge allowed himself to be better served by brevity. If not the complete truth, it was at least the lion’s share. “There is no next step,” Bridge answered, and then laid his head back down on the desk, hoping the cat would leave off. “I want you to act like somebody died on your watch today. I want you to act like you give a damn. I would have thought that nearly getting yourself killed might be all the motivation you’d need, but if you’re telling me that one bullet wasn’t enough, then I’d be happy to arrange for another.” There was more to the cat’s tirade, but Bridge had already tuned it out. At that moment, something else had started speaking to him or attempting to, and he was straining to hear the tiny voice of an idea seeded deep inside his mind. All he needed was a single spark to draw it forth from the darkness. Again he let his eyes pass over the room’s interior, noting the differences between what he saw and what he had seen. It wasn’t until he’d completed a full one hundred eighty degree turn and was facing the wall where the message had been that he felt he was getting warmer. Though he soon located what he was looking for, his approach was restrained. He placed his hand flat on the wall well above its destination, tracing along the plaster until his fingers touched the bullet hole, the bullet itself still presumably lodged inside. Spade went silent as Bridge spun, pulling open the top drawer on the desk and rummaging through it in search of a particular item. An assortment of office supplies flew out onto the floor before Bridge found the ancient letter opener. Back at the wall, he jammed the sharp piece of metal into the side of the bullet hole, increasing the size of the breach until the slug fell free, dropping into the palm of his hand. Bridge was already putting together a plan as to how this compacted piece of lead could lead him up the food chain to the person who had wanted Laura dead when he realized what he was holding wasn’t lead at all. It moved. Startled, he dropped the would-be bullet and stepped back from it. Finding the item on the floor proved no problem as its pale coloring contrasted against the hardwood. When it failed to show signs of further motion, Bridge knelt and was soon joined by Spade following two silent jumps, first from desk to chair and then from chair to floor. 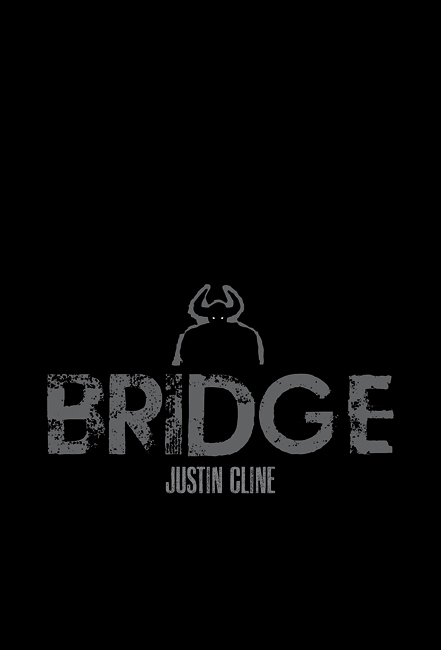 Bridge’s first impression was that he was looking at a well-fed maggot, its bone-white body engorged. Of course, this was before it revealed the segments that ran the length of its frame, undulating front to back and then back again. 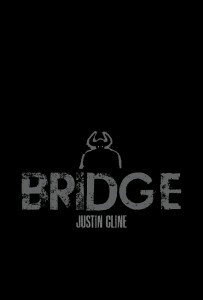 The action was nearly hypnotic, but not enough to prevent Bridge from doing what needed to be done. From the second desk drawer, he removed Laura’s bottle. After some consideration, he determined it wasn’t right for his purposes. Instead he pulled out one of the two cheaper bottles and opened it. Using his fingers as a strainer, Bridge poured the booze onto the floor—away from the “bullet”—until Rook’s finger fell into his hand. He then deposited said digit with its brother in the second bottle. “You two can bunk with each other for a while,” he said, and back into the drawer the two of them went. Dropping down to eye level, Bridge lined up his shot like a master of billiards. In one deft movement, he flicked the bullet into the now-empty bottle and sealed it up. “You’re going to clean that up, right?” Spade was staring at the mound of rotgut-covered office supplies as if it were the only thing of consequence that had happened for days. “Eventually,” Bridge lied, the thought never having crossed his mind. Holding his new captive up to the light, he inspected the grub that had killed the blonde and put a whole clean through his middle. He’d never seen anything like it, and that was saying something. No doubt it would take a much smarter man than himself to tell him what it was that he had captured. This entry was posted on Wednesday, December 14th, 2011 at 12:01 am	and is filed under Uncategorized. You can follow any responses to this entry through the RSS 2.0 feed. You can skip to the end and leave a response. Pinging is currently not allowed. « SyFy Going for Laughs! Ileana. I was worried. Is it done? Good. Stay put. I'll call this in. They'll be there soon.